At the beginning of its activities, the Tudeh Party was among the most influential parties in the history of Iran’s new era. It is always named Ta’i Erani as the founder of this party, something that today can not be very confident about it. 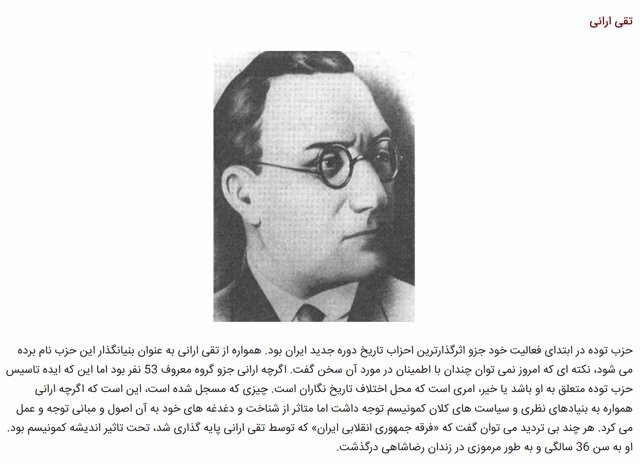 Although the “Revolutionary Revolutionary Cult of Iran”, founded by Taqi Arani, undoubtedly was influenced by the notion of communism. He died at the age of 36 and mysteriously in Reza Shahi Prison.